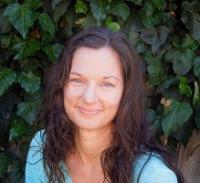 Karen Roller, PhD, MFT, is a somatic psychotherapist oriented from the attachment and trauma resolution* perspective. She served the foster care and migrant community of Santa Cruz County for 15 years; prior to that, she worked in juvenile detention diversion programs addressing disproportionate minority confinement; autism recovery; and taught bilingual special education. She had a private practice for three years, and has since taken a position as Clinical Coordinator at Family Connections in Redwood City. Dr. Karen Roller received her B.A.s from Saint Mary’s College of California, her M.A. from John. F. Kennedy University, and her Ph.D. from the Santa Barbara Graduate Institute; her dissertation was on the neurophysiological effects of a somatic intervention. Prior to joining Palo Alto University, she taught at Bethany University for two years. As a Clinical Traumatologist and Compassion Fatigue Therapist, she has published on trauma training in counselor education programs to increase trauma-sensitive treatment for underserved populations, and reduce risk of Compassion Fatigue in counselors. In collaboration with Global Trauma Research, she is performing trauma training and outcome research in Haiti. She is a Fellow of the American Academy of Experts in Traumatic Stress, and a Diplomate in the National Center for Crisis Management.